Christmas Eve. Its here at last. I can almost hear the distant “Ho Ho Ho” over the crinkling of wrapping paper as stockings are stocked and stuffed. Saying please and thank you – yep. Flush the toilet – yep. No biting anyone – yep. Sharing my toys – yep. Great – so now we’ve established I’m a good girl what can I ask from Santa? 1. Another hour in the day please. Just so I can read the mountain of books I have waiting for me. 3. A computer that doesn’t freeze every ten minutes forcing me (against my will) to swear in front of my children. 4. A lever on my fridge (just like the one you push to get ice) that delivers home-made nutritious delicious kids food three times a day. 5. A Government scheme to pay work-at-home mums a decent wage so I can buy a pair of boots (or even a bra) without my husband knowing. Or without me having to ask. 7. Some sun. Just a little. I know we chose to live in Ireland but really, just a little? 8. A memory stick for my brain, so I can remember every single second of my girl’s childhood, especially this day. 9. A self-slapping machine that gives me a good whack whenever I forget how lucky I am, and start whining about stupid crap that is totally meaningless. 10. And finally Santa, if I may be so bold, can you arrange it so that next Christmas we have a third little stocking hanging on the mantelpiece? Thanks Santa, and good luck tonight. I know what it feels like to have everyone expecting stuff from you, and not enough hours to deliver them in. 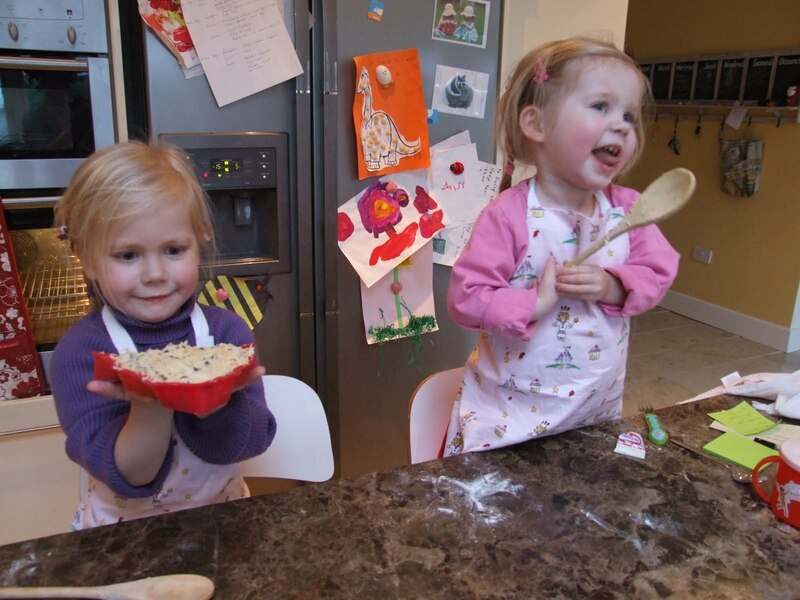 You can see from the picture that Daisy and Poppy have made you a cookie and some milk … and a carrot for Rudolf. It’s by the fire. Oh, and watch out for Smeagal my cat – he might get a fright when you land down the chimney. But a quick tickle under the chin should put him right. I won’t come down and see you, I’ll be upstairs with my girls, awake with anticipation of the day to come. This entry was posted in Christmas, Christmas Eve, Santa. Bookmark the permalink. very fun! we should all gain from our christmas wishes, eh? I especially hope you get that last wish — another little stocking hanging by the fire. I read some of your earlier posts and didn't get a chance to reply in all the holiday craziness but have been thinking of you! !